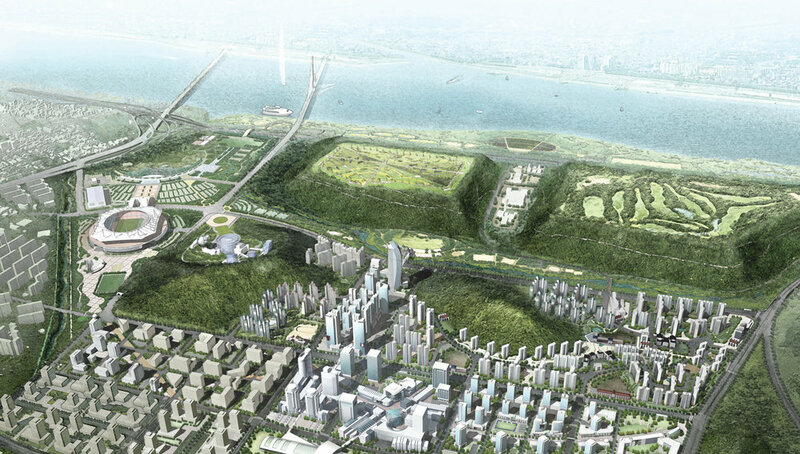 What was once the world’s largest landfill site has been transformed into prime urban real estate in North Asia. Seoul’s Digital Media City, designed as a node for innovation, is a cluster of digital media technology within a new future-oriented city designed to maximize harmony between work, home and leisure. The project is the home for digital technologies, housing ubiquitous networked offices, apartments, exhibitions, conference halls and cultural centers in Seoul, South Korea. It is a high-tech city centered on Digital Media Street for broadcasting, movies, games, music, e-learning and related industries. 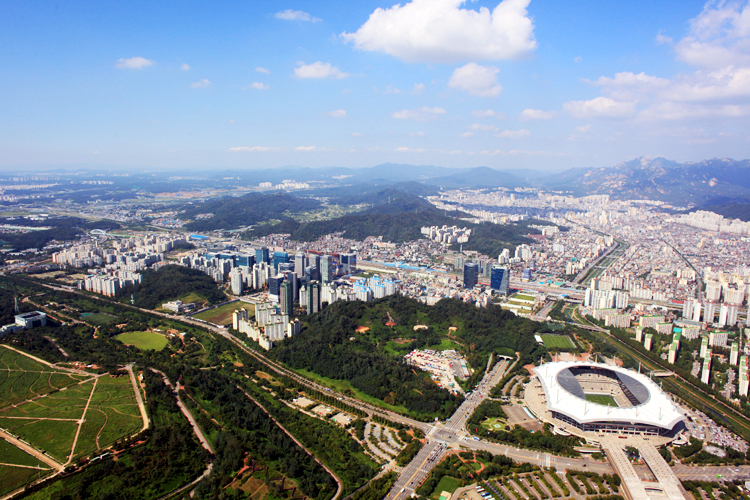 By 2010, this greenfield site near central Seoul will host the tallest building in the world, manicured parklands rivaling the size of Central Park and an IT zone that aspires to be the world’s foremost production center for digital media content.